If you’re like any fashion-focused person, you’ve likely moved on from 2015’s trends and are eager to see what 2016 has in store. Despite how early it is in the year, a number of hot looks have emerged for anyone to try. However, you may be curious as to how 2016’s most recent trends compare to the greatest looks from 2015. We were certainly curious, and so we wrangled a few looks from this year and the last to see what’s changed and what has stayed the same. While this look requires oodles of quality hair care, it has gained massive appeal among the young adult crowd. This look has remained popular in both 2015 and 2016, but the execution has changed. 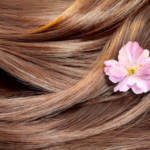 Stylists have swapped out streaking your whole head with a rainbow of bright colors with subtle, peekaboo underlights. Underlights involve dyeing only the bottom layer of your hair and is a wonderfully unique way to pull off new hair colors. Best of all, they totally work in professional environments for those of you whose individuality is stifled by your 9 to 5. A great sulfate free shampoo keeps your hair looking great. You might fondly remember the ombre trend that swept over the hair styling community back in 2015. However, in 2016, two relative newcomers have arrived to dethrone the ombre look: bronde and balayage. Balayage is quite similar to ombre hair because it gradually transitions from dark to light, from roots to ends. However, balayage is far more gentler-looking in an almost sun-kissed sense. Bronde is a comparable phenomenon, combining brunette roots and blonde ends. Leave in conditioner can enhance your braid. While braids have always been popular, the way people wear them has shifted continuously throughout the decades. 2015’s braids were greatly inspired by popular culture. 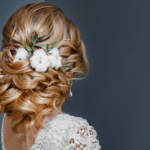 You would most often find, for example, a single braid blending into free-flowing locks. In 2016, people seem to prefer them in sleek, immaculate styles. Quality hair care shows in the way your hair looks. The wavy look is relaxing this year. Instead of fretting over getting your wave pattern perfectly neat, as was the norm with mermaid hair back during 2015, worry no longer! Now you can simply brush your day-old curls and carry on with your day. A leave in conditioner is required to keep hair beautiful. Pastel hair is changing drastically as well. 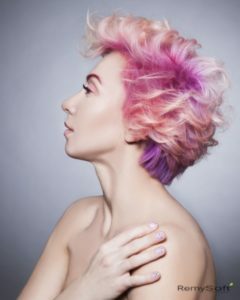 You now have the option of either using pastel colors as highlights to ash-colored hair, rather than jumping into brighter shades. Pink is also quickly replacing the grays that enraptured so many people during 2015. Regardless of what dye work you go with, be sure to wash your hair with a great sulfate free shampoo to preserve your hair health and help the color last! We’re excited to see what else 2016 has to offer, and we hope you’re inspired by these current trends, as well as everything else to come! 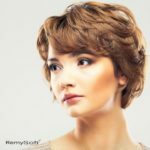 At RemySoft Solutions, we specialize in helping you look and feel your best by boosting your hair’s health. That’s why we offer only the best products, such as our leave in conditioner. To learn more about what we do, contact us on our website!